What do you know about cow toys? Probably nothing. That’s ok though, for you came to the right place. See, cow toys are not just for fun and games. Cow toys are a way of life. Cows play an important part in world history. Remember when the Greeks snuck into Troy with that giant, wooden horse? Well, it was actually a cow. When George Washington crossed the Delaware river, he was going to see his favorite cow. Also, don’t forget Gandhi. One of the most influential people in all of the humanity thought the cow to be a sacred animal. Hopefully, by now, you’re all warmed up on cow love. If you want to join the ranks of the world’s best people, then you need a cow of your own. It doesn’t matter if you have a 42.7-acre farm in Iowa or a penthouse suite in New York City. 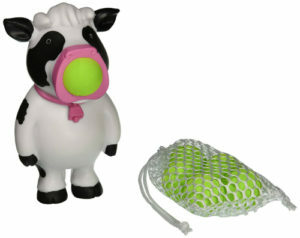 Cow toys come in all shapes in sizes and fit a variety of personalities. 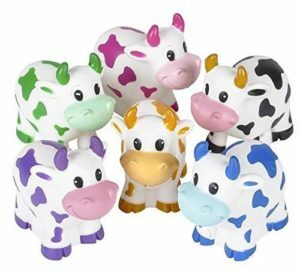 Hunting for cow toys is a daunting process so to help you along this dangerous journey, check out this list for your convenience. What happens when you take six cows, combine them with five more cows and then add one last cow to the group? Come on all you math wizzes. You can do this. For the numerically challenged out there, when you add up these cows you get twelve. Now, what do twelve cows have to do with toys? Great question! 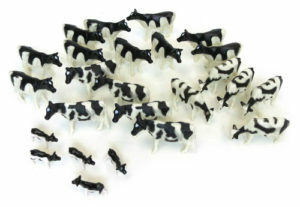 This particular cow toy features twelve, rainbow rubber cows. Standing at a vicious two inches tall, these cows will populate all corners of your house and then some. They may look cute on the outside but don’t trust them just yet. After all, acclaimed author Herman Melville once said that he “never trusts a cow.” You should take his advice because these cows, are not just cows. They are secretly water squirt toys. Please squirt responsibly. If 12 cow toys just weren’t enough for you then introduce yourself to the next toy. This package of Holstein cows is for the real cow enthusiasts. Not to say your casual cow fan isn’t worthy of this but the experts will really appreciate the sheer authenticity of this experience. While the last toy was certainly cute, let’s be real for a second. Cows aren’t rainbow colored, nor do they squirt water out of their various orifices. That’s why we have toys like this one. As already mentioned, 25, realistically colored cow toys are included in this box. While they are certainly not life-size, you will forget all about that when deep into a role playing scenario. For starters, set up the cows in a big herd. There you go. Now it looks like a real cow herd. You can’t do that with just one cow toy. You need twenty-five to recreate the exhilarating experience of a cow herd. For those that can’t handle this intense realism though, please turn your attention to the next toy. Life is hard. Sometimes, it even seems there is some sick minded, god-like figure up above playing mean pranks on you all the time. We’ve all had those rough days (you know the ones). First, you forgot to set your alarm. You wake up in an angry haze, already late for work. As you rush out the door with coffee, you bump into the wall, spilling the hot, brown liquid all over your clean, white shirt. Then as you bolt to your car, you happen to step in a giant puddle of mud. Trying to stay positive, you start the car and race towards the freeway. Alas, there is a major traffic jam holding you up. The worst part is, every single radio station is playing indie-rock covers of b-side Elvis songs. It’s just not a good day. It’s times like these when you just want to hug a cow. Seeing as hugging a real cow isn’t all that enjoyable, why not just invest in one of these cow TubbieWubbie toys? 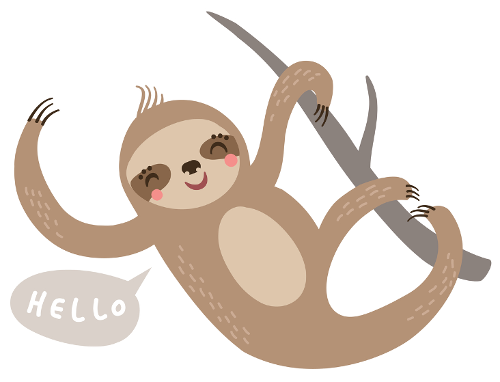 Yes, it’s truly as cute as the name suggests. The fine, plush fabric makes this the ultimate cuddling device. It might not solve your credit card debt but it will help you escape from all the stresses of life for just a second or two. No childhood is complete without the whimsical rhyming of Mr. Seuess M.D. Combine that with cows and you get a “mooooving” experience. Alright, sorry about that. The point is Dr. Seuess is awesome and he was smart enough to realize that cows are awesome too. 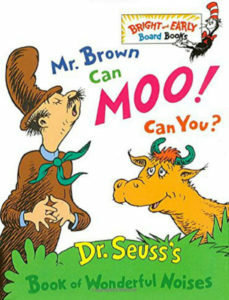 The result is Mr. Brown Can Moo, Can You? Whether you are twenty-three, ten or two, you can moo. Yes you, the same you that was once two, can moo. You can be old, young or new. All ages can moo! You can moo in a box, you can moo with a fox. You can moo up there or you can moo in your chair. With this book, you can truly moo anywhere! If you had good parents, then you know you should always tip the waiters and waitresses. Well, if you live in countries that pay their hospitality workers well, then forget about that but for the sake of this reference, let’s pretend you tip all your waiters. However, don’t ever tip the cows. Yes, that whole introduction was just to set up the name of this toy. Don’t Tip the Cows has nothing to do with giving money to cows. 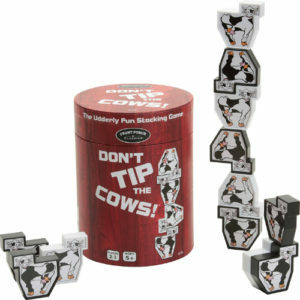 This is an “udderly” fantastic game that throws its players into the heated realm of strategy. In here, only the one who avoids tipping the cows will leave this game a champion. After that, the possibilities are endless. Perhaps you’ll go on to become city councilmen, President or even the manager of your very own Burger King! With Don’t Tip the Cows, the future is entirely in your hands. Stress. It’s everywhere. It’s in your heart, your lungs and in your dirty sock drawer. There are countless ways to relieve stress but this particular toy might be the best of them all. At first glance, this teether toy might just look like a toy for kids growing teeth and technically, that’s correct. However, who’s to say adults can’t use this? After all, squeezing a toy cow with your teeth is a scientifically proven way to relieve stress. Why should kids have all the cool toys? They barely have any stress at all. It’s only fair that we get a chance at this teether toy. The best part of this toy though is that it mimics the feel of mom’s skin. Yes, it actually says that on the Amazon page. Is that supposed to be a selling point? Do kids go around biting various toys testing to see if it feels like mom’s skin? Possibly. So if you are a mom, and catch your kid chewing on a lot of tree bark, it’s probably time to start using moisturizer. We’ve been dealing with a lot of complex and emotional topics today. As you surely know though, there are some things in life that are pure and simple. 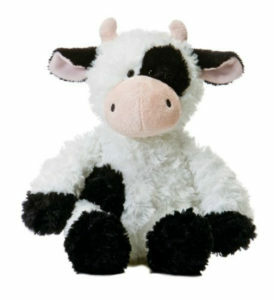 Take Cloe the Cow for example. Cloe the Cow is a pure and honest toy. There are no hidden meaning behind Cloe. It is just a giant bean bag shaped like a cute cow. Inside are a whole bunch of UltimaX beans that conform to every crevice of your amazing body. Usually, it’s you that has to conform to everything else but not this time. This time, you simply have to sit down and let the magic UltimaX beans do the work. They will carry you throughout the dimensions of comfort and space. Before you know it, you will disappear into a magical realm of relaxation before realizing you are sitting on a giant cow. It could definitely be worse. Most kids don’t like school. That’s just a fact of life. However, there are ways to work around this dilemma. What do kids love more than anything else in the entire world? Backpacks! Now, what’s the second most popular thing amongst children? Cows! By combining the two, you get an unstoppable product that will surely make school more fun for a toddler. 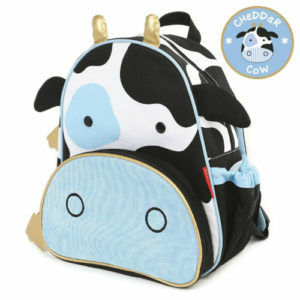 Much like Cloe the Cow from number seven, this backpack doesn’t fool around. It is what it is and what it is, is a cow shaped backpack. Wow, that’s a just a horrible sentence right there. English professor;s everywhere are shaking their heads in disbelief. Well, it doesn’t matter because this backpack is a cow and it transcends the rules of grammatical correctness. Sorry, Professor Leevenkraut but deal with it. First and foremost, toys are supposed to be fun. However, kids are the future so it always helps when you can slide a little education within the fun somewhere. That’s just what this Kenworth Livestock Tractor Trailer toy does. As you can see, the toys themselves are quite realistic and accurate to the real thing. However, that’s not where the real education comes in. This toy teaches children what “livestock” truly means. Yes, cows are cute and make funny noises but the fact is, we use them as food. We load them into that tractor trailer and drive them to some distant farm. There, we stick them in a field, with a fence and use their natural dairy for our own consumption. Those are the lucky ones too. We really don’t have to get into the details here but eventually, your kids will find out what happens to the unlucky cows. It’s goo to teach them while their young and this toy will help ease them into that dark reality. Of course, it also just makes a fun toy to play with. When you eat a meal, do you save the best item for last? Well, the answer doesn’t matter because here, we are saving the best for last. Take a glance at this Hog Wild Toys Moo/Cow Popper. Look at it. Digest it. Become it. What kind of emotions does this device ignite in your yearning heart? Don’t answer that. Once again, the answer doesn’t matter. The real answer is that it makes you feel weird. But why does it make you feel weird? For one, it has a ball in its mouth. To get it out, you squeeze the cow and suddenly, the ball explodes outside in terrific fashion. If that’s not a weird toy than what is? Weirdness is not a bad thing though. We should praise the weirdness of this toy because it shows a bright and promising future for cow toys. Creativity and innovation are what drive the future. If we want to have a better future for cow toys, a better future for us, then we need to give credit to Hog Wild Toys. 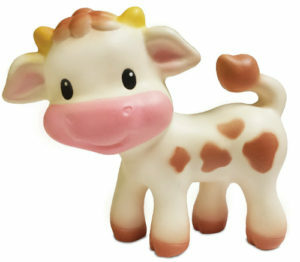 Hopefully, they will inspire more cow toys just like this one. It’s portable, easy to use, safe and unique. Kids can pop these cow balls over 20′ in the air. It might seem like a minor feat to you but there is beauty in this toy. Perhaps we are going overboard but perhaps we are not. Think about your favorite toys as a kid. What were the ones that shaped you? What were the ones that defined your personality? Those are the toys of our future. This, Cow Popper toy is the very future of our society. Thank you, ladies and gentlemen.